Best of the Fishing Forum - GAR Fishing!!! I just stumbled upon this great fishing opportunity in the Mississippi River in the Minnesota area. GAR! They look terrifying and from the stories I've read online fight like no ones business. But I cannot find very much information on where, when, and how to catch the prehistoric fish. Can you please help?!? Welcome, hopefully someone can help you with the info you seek. I deleted your second Gar post, I think one will be enough to get you the info you need. I deleted the same post in the new user forum. 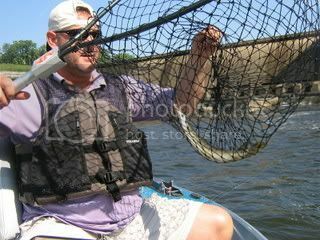 I agree...gar are great fighters and a very under fished species...that's a win/win! Are you sure your not thinking of Sturgeon? Gar don't really put up much of a fight from my expierence and they tend to run a little on the small side in our area. 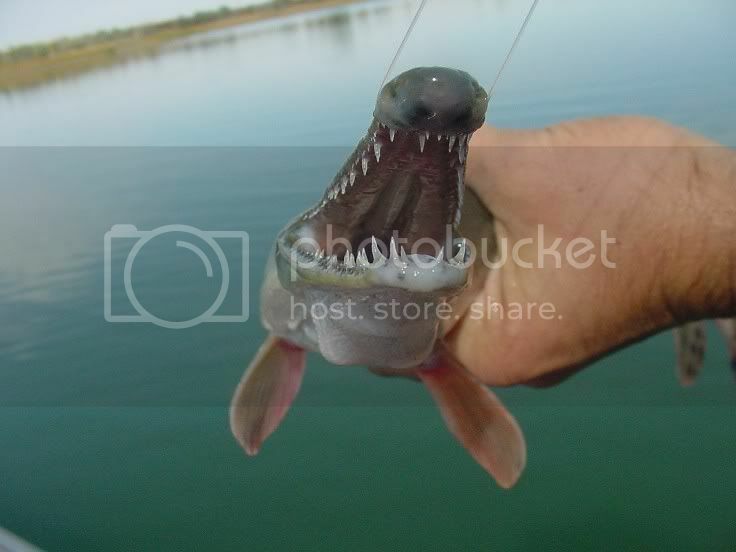 There are many Gar in the Minnesota and Mississippi Rivers I see them all the time at night they swim around the surface picking off minnows the problem trying to actually catch them is the Gars mouths are so small its tough to hook them with any consistency. I have caught a few over the years by accident while fishing for other species usually near fast running water along a current seem I think they are like any fish just waiting to ambush bait fish but if I were going to target them I'd use a small plain hook maybe a #6 with an added floater to help keep it off the bottom which should help the hook set and I'd probably tip it with a small shiner or fathead. I know that your experience with the smaller gar is probably one many folks have had. However, there are a great many nice sized gar available in Minnesota/Wisconsin rivers, lakes and streams. In the Northland fishing circles when you hear of a "toothy critter" it normally refers to a pike or a muskie. However, there is another toothy critter that can grow to large sizes, is a beast of a fighter, can slice lines like a knife, and receivers virtually no attention as far as fishing pressure. I refer to the lowly gar. The true giants are alligator gars and typically live in more southern river systems. However, there are excellent populations of other nice sized gar species in Minnesota, Wisconsin, and Iowa rivers, lakes, and streams.The long and shortnose gars fill that bill. The MINNESOTA STATE RECORD was over 50 inches long, weighing just under 17 pounds , and caught on the St Croix. WISCONSIN"S STATE RECORD is a little over 21 pounds and over 50 inches long as well. Same is true for Iowa..IOWA"S STATE RECORD is also over 50 inches and a little under 18 pounds. I recall fishing several Muskie tournaments in Wisconsin a few years back where the gars were front and center. One tournament in particular was held on the Island Chain of Lakes over about 40 miles north of Chippewa Falls. My fishing partner and I boated about ten of those brutal gar during the 2 day tournament. They averaged around 10-12 pounds would be my guess and fought every bit as well as a muskie or pike of similar size. They were caught on jigs, Grandma minnowbaits, and even a few on a giant Rattletrap! They were up shallow for their spawn and were on the prowl for food. We had gar follow almost every cast it seemed for those two days...now if you muskie fish you can imagine how this affected you. You are ALWAYS watching for this wake or flash, or shadow behind your lure. It was there on every couple of casts. The problem was not many of those follows were muskies..we did boat 2 legal muskies in the tournament...but having those gar all over the place sure made it exciting! I now try and catch them when I see them schooling. It is a blast and somewhat similar to catching pike and muskies. I have never eaten one but guys who do say to skin them then cut the meat into steaks and grill it up. They claim it is a wonderful white, flaky meat. Here is a website I stumbled across for those who might want to learn a little about fishing for another species from time to time. A species that can be a brutal tackle buster and a lot of fun to pursue. I must be seeing the Short Nose Gar on the Rivers. 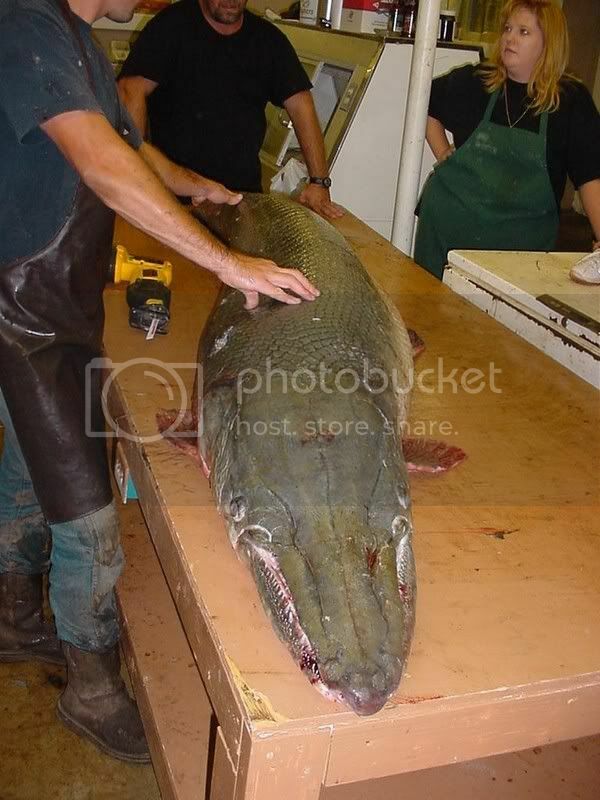 Now that I think of it I believe the Mn State Short or Shovel Nose Gar was caught recently in Red Wing. Here are some pics Jason has Posted. I took another look at the fish in the net and it does look like a shortnose. I don't remember the state records on shortnose but they only get to roughly half the size of the longnose. I would think a 5 pound shortnose is a pretty good sized one. That of course makes a difference. The alligator gars get up to several hundred pounds. The one in the picture above was something like 270 pounds and over 8 feet long as I recall. 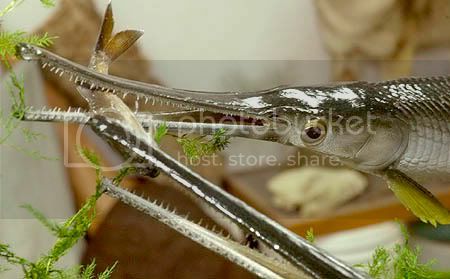 No alligator gar in Minnesota/Wisconsin waters..however the longnose and smaller shortnose are. If using live bait you need to let them take the bait and run...they will then stop to turn and eat the bait...when they start the next run set the hook. Piers suggestion about using the minnows but keeping them off the bottom is a really good way to go if you are live baiting them. Minnow imitator plugs, spinners, and spoons can at times be effective as well. Much like fishing a muskie or pike..only a lot harder to put a hook into! But nothing is as effective as a real minnow.